A footing may be needed for other types of construction, such as a deck, pergola, or retaining wall. 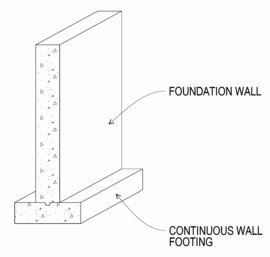 Different types of soil have different load-bearing capacities, so this must be taken into account when installing a footing. In some cases a pier may be needed to prevent or reverse settlement of the foundation. They transfer the load from the unstable soil down to firmer soil or bedrock below.